Buy a property in Costa Blanca? Michelle and Shaun did! 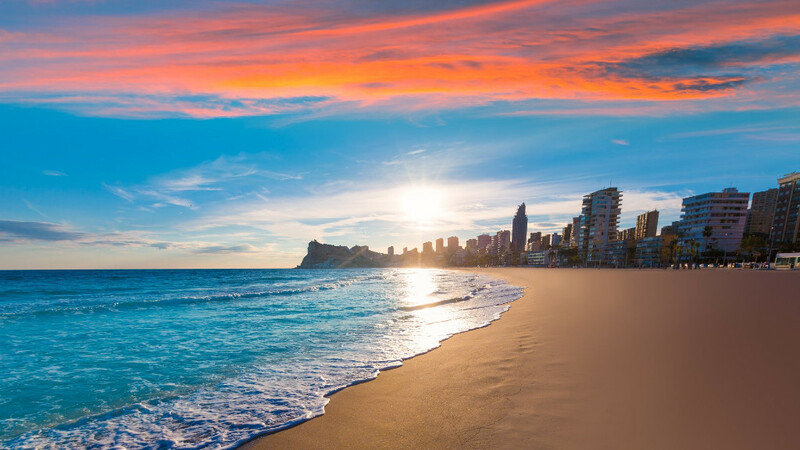 News: Buy a property in Costa Blanca? Michelle and Shaun did! Michelle and Shaun Greenbank are another happy couple who have bought a lovely property for sale in sunny Costa Blanca, Spain. Orihuela Costa in Costa Blanca South is a very popular location to buy property where you can find traditional Spanish properties for sale as well as new build property with a contemporary feel. This is definitely a great place to own a holiday home but also to live all year round. Not only will you be close to some of Spain's best beaches but also a short drive from all kind of facilities and amenities to make your life easier. There is a wide range of supermarkets, bars and restaurants and shopper's paradise Zenia Boulevard commercial centre is very conveniently located. Orihuela Costa property offers something for everyone and all we need to know at E-Style is what you require. A detached villa with pool facing the sea, an apartment with a sea view or a beautiful townhouse, all we can find for you. "Thank heavens for E-Style, especially Russell for his patience, good humour and continuous help. Our purchase was certainly not easy or straightforward but thanks to E-Style we all managed to keep smiling and are new the proud owners of a stunning sea-side apartment".